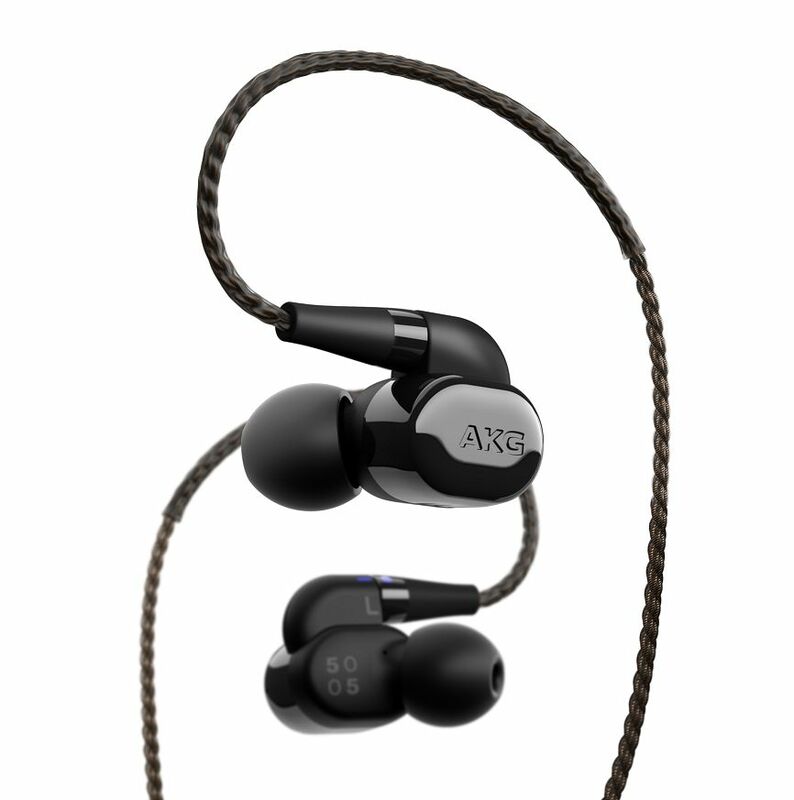 High-quality wired in-ear headphones (with included 8-hour Bluetooth dongle), 5 drivers, ceramic body, $999.95. Alexa-powered smart Bluetooth speaker, 10-hour battery life, charging cradle included, $199. Bluetooth IPX7 portable speaker with built-in carabiner and 10-hour battery, $59.95. IPX5 sweatproof Bluetooth wired headphones, "$19.99 – $89.99." 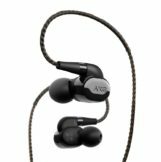 Wireless IPX7 waterproof headphones, "$19.99 – $89.99." Wireless IPX7 waterproof headphones with neckband and PowerHook buds, "$19.99 – $89.99." 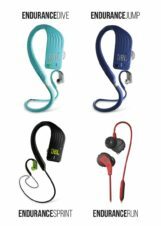 Wireless IPX7 waterproof headphones with neckband, PowerHook, 1GB onboard MP3 storage, "$19.99 – $89.99." Google-Assistant powered around-ear Bluetooth headphones, $249.95. Google-Assistant powered on-ear Bluetooth headphones, $199.95. Google-Assistant powered in-ear Bluetooth headphones, $99.95. Bluetooth IPX7 waterproof speaker, $39.95. Bluetooth IPX5 sweatproof headphones with 10-hour battery, 5.8mm driver, and reflective cable for night-time use, $99.95. 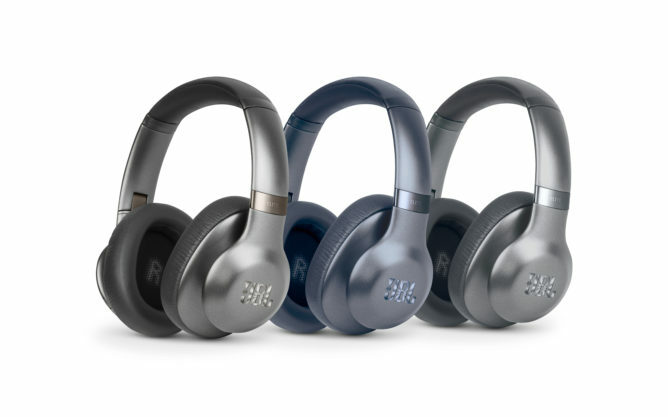 Bluetooth IPX5 sweatproof headphones with 10-hour battery, 5.8mm driver, "Dual Lock Technology," and reflective cable for night-time use, $99.95. Most of these aren't too exciting, and the universal theme for JBL this year appears to be waterproofing. Of course, we see incremental improvements to headphones and Bluetooth speakers all the time, but a few of these products are riding the contemporary smart assistant wave, which makes them a bit more appealing. 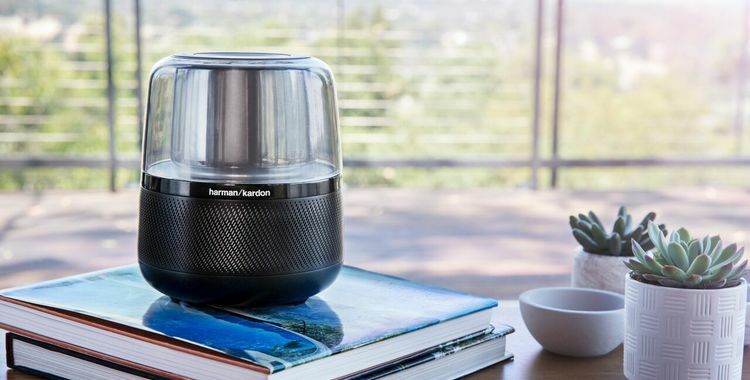 The Harman Kardon Allure Portable with Amazon Alexa (quite a mouthful) is allegedly based on the Allure released at last year's IFA. Curiously enough, this new model is supposed to be a bit cheaper than the previous version, at just $199 compared to last year's $249. Harman somewhat confusingly claims that this new Alexa-powered version is entirely new, but from everything we can tell based on our own previous coverage of the company's announcements, that's not true. This new model appears to be almost entirely identical to the previous one, down to the tedious name. In any event, the company is claiming that it's new. 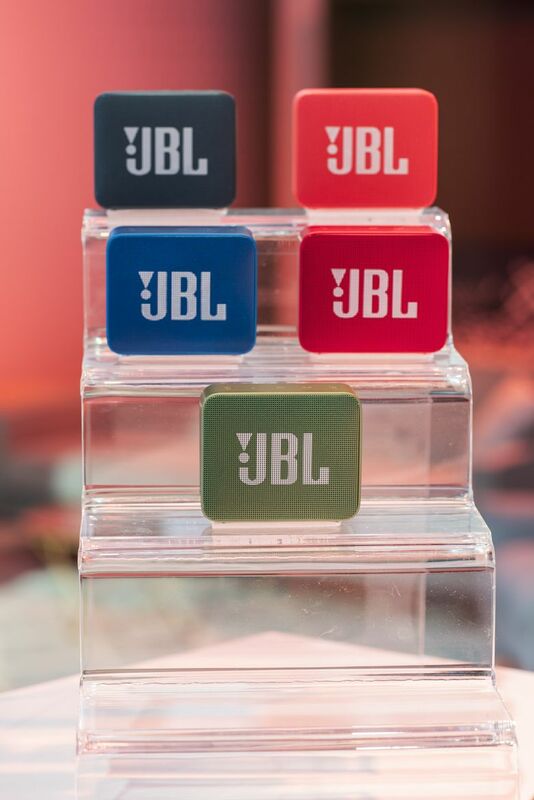 The other personal assistant powered device to be announced by JBL are three new headphones, the around-ear Everest 710GA, on-ear Everest 310GA, and the in-ear Everest 110GA. In this case, "GA" almost assuredly stands for "Google Assistant," as each of these headphones features Google's smart assistant functionality. All three are Bluetooth 4.1, with varying specifications and different use cases. 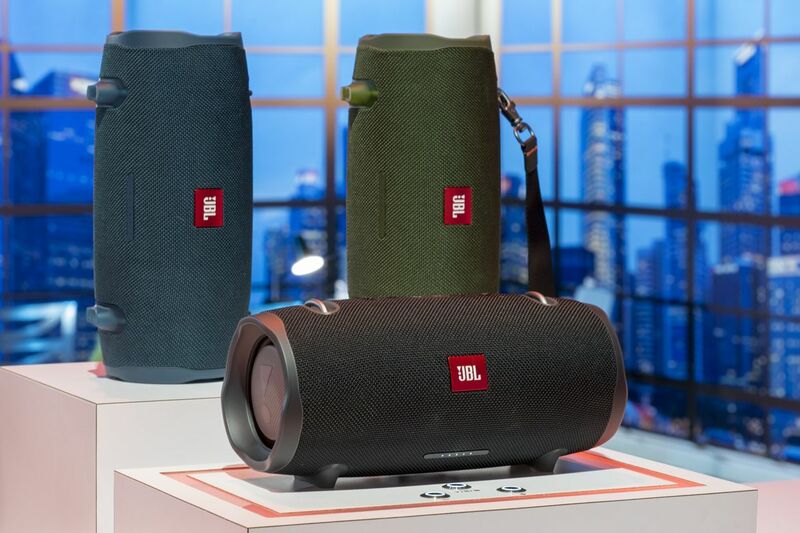 The larger Everest 710GA will be $249.99, and it is advertised as having 25-hour battery life with JBL's ShareMe 2.0, which allows you to share audio with a friends' bluetooth headphones. The smaller Everest 310GA is a bit cheaper at $199.95, and with the difference in size comes a slightly shorter 20-hour battery life, but with most of the same features otherwise. Lastly, the in-ear Everest 110GA runs $99.95 and sports an 8-hour battery life. Other vaguely noteworthy JBL/Harman products include the Xtreme 2 waterproof (IP7X) Bluetooth speaker, JBL's new Endurance series of headphones (the RUN, SPRING, JUMP, and DIVE, which are each optimized for different types of sports), JBL Go 2 waterproof (IPX7) Bluetooth speaker, and the slightly ridiculous JBL L100 re-release. Based on the original 3-way bookshelf loudspeaker from the 1970's, the JBL L100 Classic has the same funky vintage styling, but it also features updated performance and technologies. And it'll just cost you a mere $4,000 per pair. 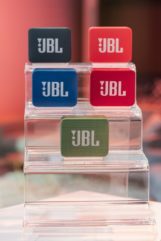 Availability for every one of JBL's announced products is set for spring of 2018 (though at least one is already for sale) so there might be a short wait before you see these products appearing at your favorite retailers. Typically, this is the part where we would include embedded press releases for each of these products, but in this case, there are just too many. So instead, I've chosen to link them up above where the products are individually listed, and they're cited in the same order just below.